HARTFORD - Because more than half a million people in Connecticut struggle to make ends meet, they have a difficult time paying their heating bills. To illustrate the point on the coldest day of the year so far, Operation Fuel built an Ice House to raise awareness of people who must live in bitterly cold homes because they can’t pay their energy bills. 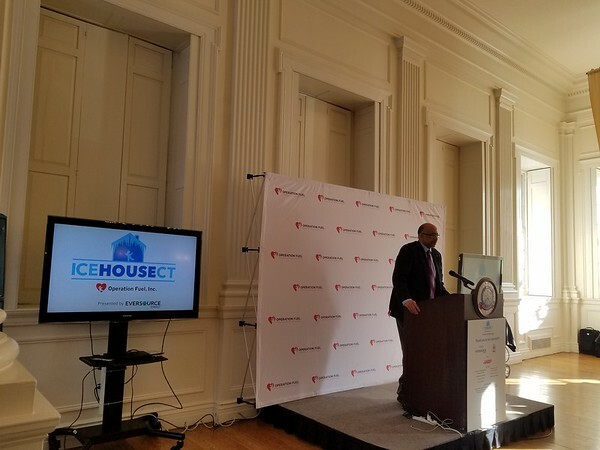 On Thursday, Eversource Energy and iHeartMedia took part in a ribbon cutting for the Ice House at Connecticut’s Old State House. Brenda Watson, executive director of Operation Fuel, said she has firsthand experience of what it is like to struggle to pay for heat or energy, as growing up, her parents often worked more than one job and still struggled to afford for necessities like heat and water. Operation Fuel provides year-round emergency energy assistance throughout Connecticut to families and individuals, the elderly and disabled people who are in a financial crisis. 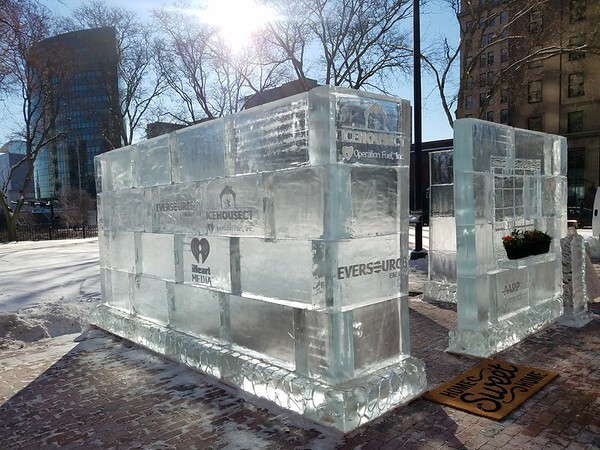 The presenting sponsor of the Ice House is Eversource, which has an ongoing partnership with Operation Fuel to ensure that families are offered energy assistance. Rod Powell, president, corporate citizenship, of Eversource Energy, received an ice house snow blower from Watson on behalf of Operation Fuel. “I’d like to present Eversource with the very first ever ice house snow blower,” Watson said. Powell said he is proud that Eversource is able to partner with Operation Fuel. He said one must not forget that there are a number of people, including elderly and disabled people, who live in poverty. 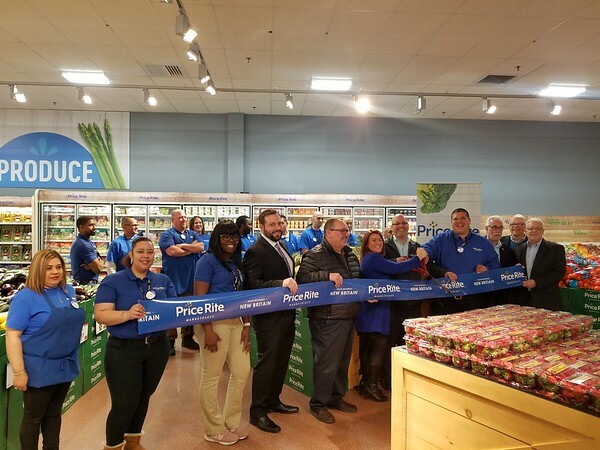 “I am truly thankful to work for an organization like Eversource that has always been mindful of all of us, low income, high income, employed, unemployed,” Powell said. The programs provided by Eversource to the “most vulnerable” customers include affordable rates and payment arrangements. Eversource and Operation Fuel run the Add-a-Dollar Program, which enables customers to donate $1 when paying their utility bills as a source of funding for Operation Fuel. To learn more about Operation Fuel or to make a donation, visit the organization’s website at www.operationfuel.org . Posted in New Britain Herald, General News, State on Thursday, 31 January 2019 21:33. Updated: Thursday, 31 January 2019 21:36.